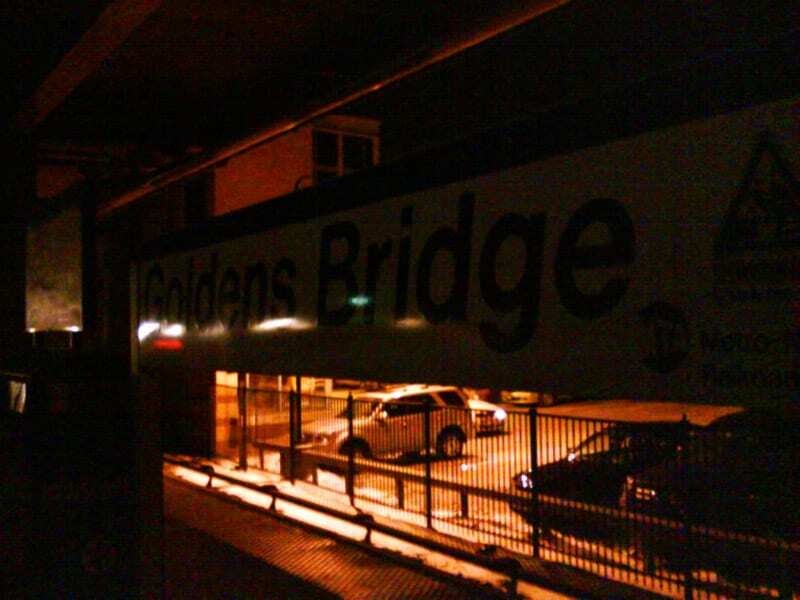 As my evening train pulled into Goldens Bridge, I stood near the doors, quite puzzled as the train gradually slowed and stopped. I was thinking in my head, “What? The engineer hasn’t fully platformed yet!” (yes, I believe it is acceptable to use “platform” as a verb!) Anyways, not platforming isn’t unheard of. And overshooting the platform tends to happen in the fall, when the leaves make it harder for the train to brake. 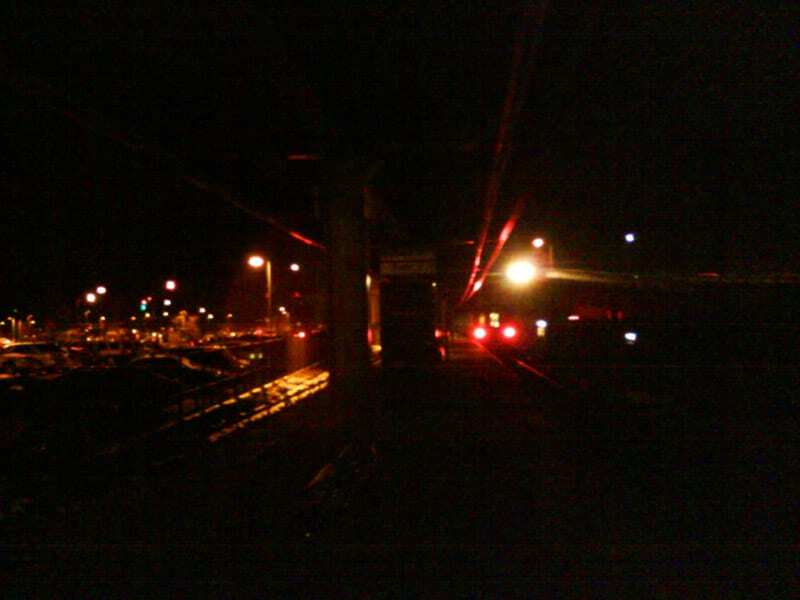 Normally the engineer goes forward or back to get the train in the right spot, and then the doors open. So then I was pretty damn surprised when the doors did open. And then I realized the train was on the platform. But it was so completely dark, it was near impossible to see it! Who turned out the lights in Goldens Bridge?! Looking down the platform as the train pulls away. Right there in the middle is the ticket machine. Good luck seeing that, though. 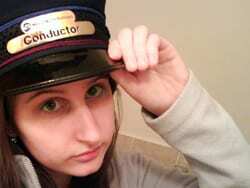 In other news, I’ve been sporting my new hat this week. Like all my animal hats, they come from Boshi Basiik. I’ve been asked so many times on the train where I bought my hats, I asked for some business cards when I bought the hat. So next time anybody asks, I’ve got a card for you! 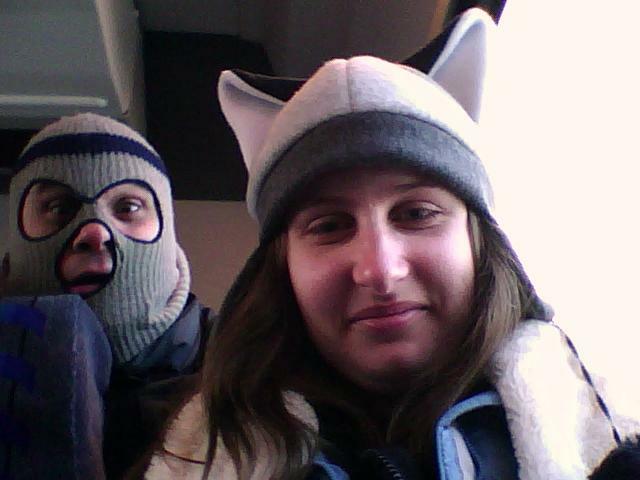 Me, the new hat, and the return of the masked bus rider! I look like a fool, but I’m trying my best not to burst out in laughter at his expression. Oh, and as a final note, if you haven’t checked out the MTA’s new site you certainly should. The new service and delays status for the subways, bus, rail, and bridges is pretty awesome. As is the new Metro North Train Time. OH MY GOD! BEST FUCKEN PICTURE EVER!!!! I’m glad you approve. Don’t worry, I’m a “good girl.” That masked dude isn’t going to try anything on me.